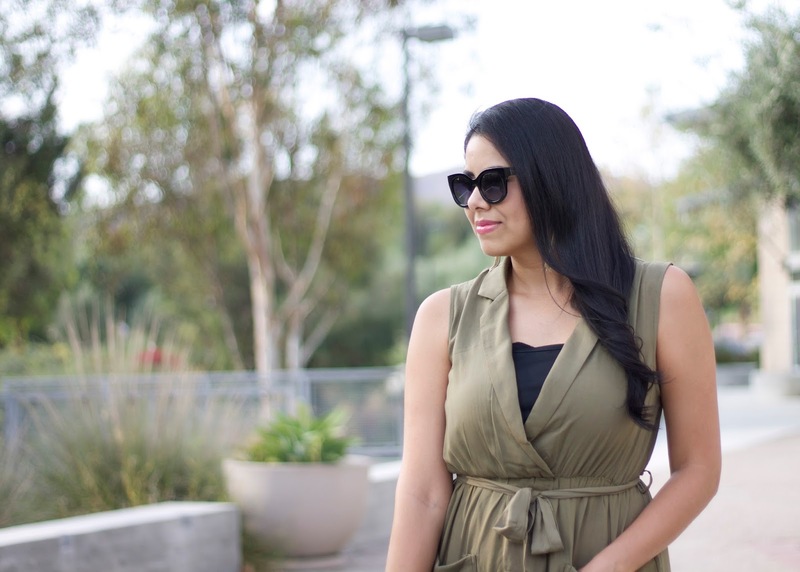 I can always count on certain colors to reach for when Fall is around the corner and currently I'm coveting this tone of olive green in an updated form like this trench dress from Shein. It's sleek and flowy and perfect for the odd 80 degree San Diego weather we are currently experiencing! Once it actually starts feeling like Fall, I also envision this piece layered over a turtle neck and even skinny jeans. Hope you like it! 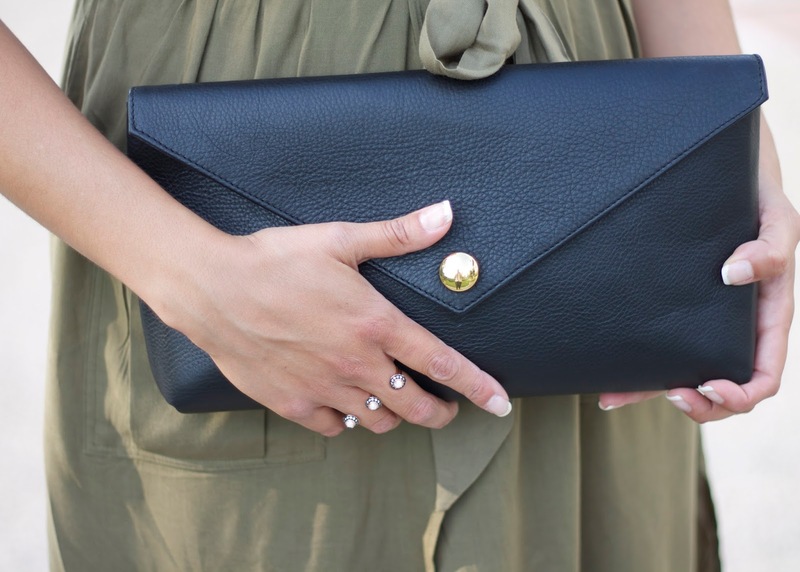 Pictures by fellow blogger Laura Neuzeth, check out her awesome blog here! Thank you Gabrielle!! I know I'm so addicted to this color!! I love your dress! It's so different and the colour really suits you! I have a special place in my heart for olive green lol. 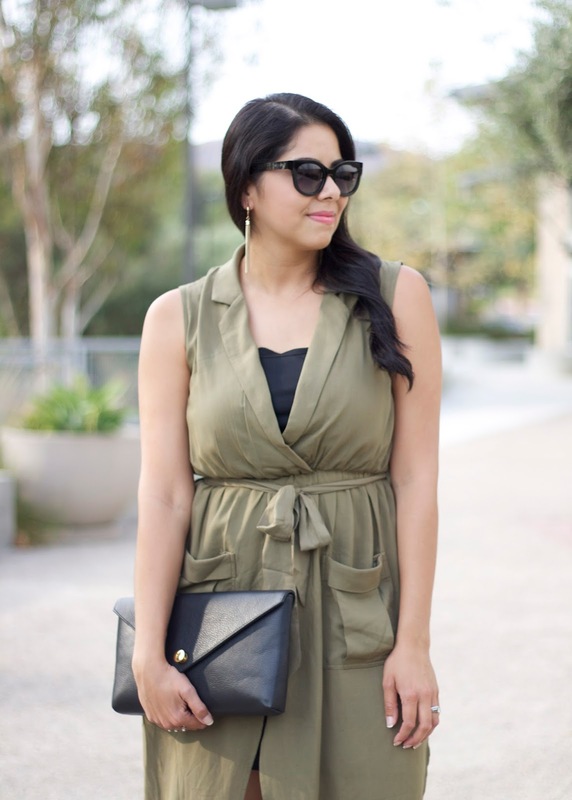 Love this trench dress! Can't wait to see other ways you'll style it. Me too!! Thank you Miriam! This is a great outfit, I love how you styled it. I love the color olive too, it works as a great neutral. The colour of the outfit really suits you! P.s The rings are gorgeous! Thank you Trishna!! I know the ring is awesome!! Adoring this olive trench Pau, and how come I miss it lol. I am a huge fan of SheInside as well.. Thank you Berty!! Yeah love Sheinside, fashion for way less!